I am a fan of PageDaily on Facebook. I shared the contest with over 300 friends on Facebook. I am a subscriber of PageDaily via Email. I would give this to my Dad for xmas. 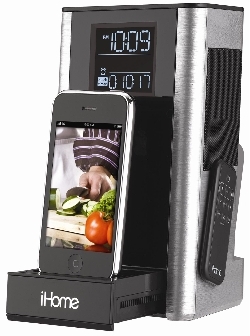 I am a huge fan on FB, and I would love to win this iHome Kitchen Speaker system to give to my daughter for her new apt!! !